Bill Schmarzo is responsible for setting the strategy and defining the service line offerings and capabilities for the EMC Consulting Enterprise Information Management and Analytics service line. He's written several white papers and is a frequent speaker on the use of Big Data and advanced analytics to power organization's key business initiatives. 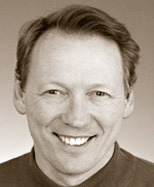 Bill has more than two decades of experience in data warehousing, BI and analytic applications. Bill authored the Business Benefits Analysis methodology that links an organization's strategic business initiatives with their supporting data and analytic requirements, and co-authored with Ralph Kimball a series of articles on analytic applications. Bill has served on The Data Warehouse Institute's faculty as the head of the analytic applications curriculum. Previously, Bill was the vice president of Analytics at Yahoo where he was responsible for the development of Yahoo's Advertiser and Website analytics products, including the delivery of "actionable insights" through a holistic user experience. Before that, Bill oversaw the Analytic Applications business unit at Business Objects, including the development, marketing and sales of their industry-leading analytic applications. Bill holds a masters degree in Business Administration from the University of Iowa and a bachelor of science degree in Mathematics, Computer Science and Business Administration from Coe College. During the session, Bill will show you how you can efficiently extract business value through insights gained from new and existing data sources.